Eating breakfast is a healthy habit. It is also one of the more effective ways to lose weight quickly. According to statistics, people that consume a morning meal on a regular basis tend to be leaner, and they have been successful at losing weight than those who skip it. What’s more, people that eat breakfast get more vitamins and fiber into their body. Mix up recipes and make your morning meal something you can look forward to each day. Here are 5 breakfast recipes to help you lose weight. A cup of raspberries contains 8 grams of fiber which is double the cup of strawberries and about the same as a cup of beans. Recent research suggests consuming more fiber encourages weight loss or prevents weight gain. Over the course of research done, it was found increasing your fiber intake by 8 grams per 1,000 calories resulted in weight loss amounting to 4.5 pounds. There are two ways oatmeal can help you lose weight. First and foremost, oatmeal contains fiber which keeps you feeling full and not hungry throughout the day. Secondly, oatmeal is a slow release carbohydrate food and consuming it a few hours before you exercise may very well help you burn fat. The difference between slow release carbohydrate and refined carbohydrate is your blood sugar doesn’t get spiked. In turn, insulin levels are not spiked. Insulin tends to signal to your brain it needs to store fat, however, low levels of insulin means your body will burn fat instead. A recent report revealed foods that are correlated to weight loss and included in the best 5 foods for healthy weight loss was yogurt. Yogurt contains protein which has an extra edge if your aim is to look and feel leaner. Plain yogurt also helps reduce unnecessary sugar and save calories. If you need extra sweetness with your yogurt, try adding fresh fruit, for instance, raspberries. Eggs contain protein which is an excellent choice of breakfast for dieters. Protein keeps you feeling fuller longer than carbohydrates and fat. 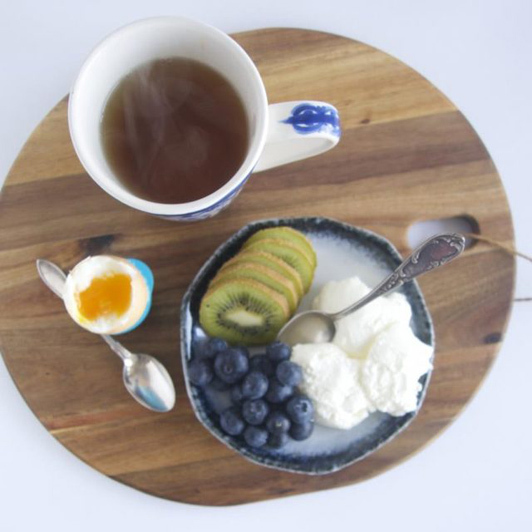 Plus, statistics show dieters that consume eggs as part of their breakfast meal lost twice the amount of weight as their counterparts who ate a bagel in the morning. It usually takes months or years for a person to gain weight. Starving yourself with the goal of losing it quickly does not work. What you need is a long term plan for successful and healthy weight loss. Remember, do not skip breakfast. It doesn’t take off any extra weight. It can only harm instead.